The antique town on a buffalo trail. Unfortunately our lovely building is not quite “fit for company”. If you’ve been inside it within the last couple of years you know that it has seen a LOT of wear and tear and is desperately in need of remodeling. Some of the work has already been completed, but much more needs to be done. 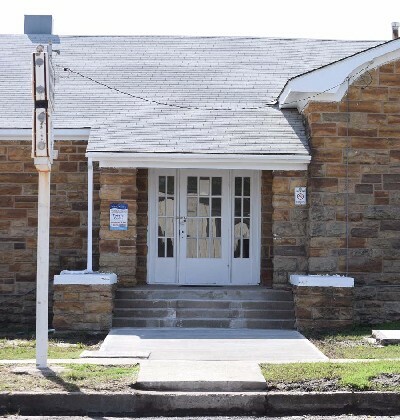 If you would like to assist with the renovation of this beloved historical building you may make a donation to the Rock Community Building Association, P. O. Box 4, Caddo, OK 74729. Then plan to celebrate with us in 2022. Work will start Monday on the NYA constructed Community Building which will cost some $10,000.00. It is to be quite a large structure made of stone and concrete. It will be owned and in charge of the Town of Caddo, built on the lot just west of Earl Phelps’ grocery, to face the north. It will be used for a number of meetings, such as the Lions Club, Legion, Women’s clubs, town, county, and district meetings, also for town council and justice of the peace courts. The town as a town is contributing a part of the sponsor’s part and the clubs, organizations, and individuals are also contributing. When completed the building will not only be useful, but it will be one Caddo may be proud of at all times, for the need of such a building has been felt a long time. The town council, the Lions club, lodges, and women’s clubs have been diligent in securing this project for the town, for they felt the need. T. C. Williamson will be in charge of construction of the work, and NYA labor will be used. This is in line with the policy of teaching the young people a useful trade, at the same time constructing a useful and ornamental house for the town. Work Started on the NYA community building Monday morning with T. C. Williamson as supervisor. Some 40 to 70 young men from over the county are engaged in the work. The building is owned by the town and will be used as a meeting place of various groups of citizens from time to time as need arises. The cost is about $12,000 and will be large enough for rather large assemblies. The NYA community house in Caddo is now practically a completed structure after one year and six months time. It is a splendid structure of Stringtown rock, shingle roof. Has a meeting hall, 40 x 60 feet, large kitchen, toilets, storage space, cabinets, nice entry, is well ventilated, screen windows, gas heat, etc. 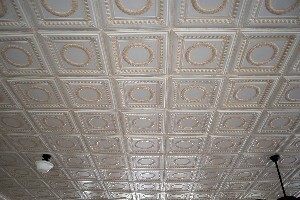 The building is capable of being used for gatherings of every nature, lunches, banquets, town women’s meetings, clubs of all sorts, and will be useful for the work connected with the national draft. Built strictly with labor of NYA, supervised by T. C. Williamson, this structure is a useful and creditable building for any community. There is a bit more work to do in furnishing the house, but in time the stove, utensils, and such will be supplied by those folks who find the house to be very useful. Owned by the town of Caddo, most actively promoted by the Lions Club, aided by the Legion, lodges, and the women’s clubs, this house stands as a monument to the tireless work of these bodies. It is owned by the town and will be controlled by them through proper supervision. Formal opening of Caddo’s new community building will be formally dedicated Friday night with a program sponsored by the American Legion. A banquet will be served at 50c per plate. State Representative Ebenenzer Hotchkin, principal speaker, will give an address on the “American Way”. 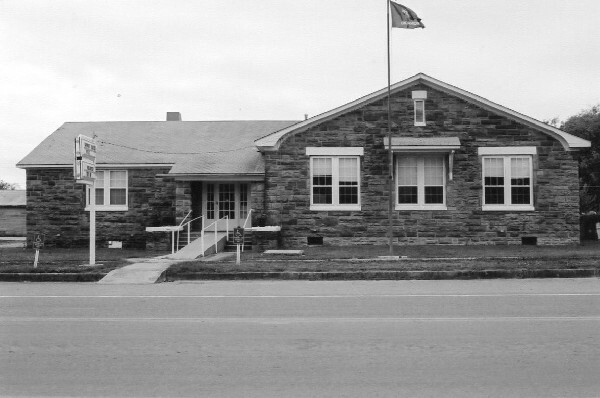 The handsome stone building was built by the town of Caddo with NYA labor. The building cost $12,000. T. C. Williamson supervised its construction. Stone came out of the Stringtown hills. 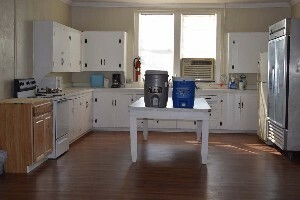 Has modern conveniences, hardwood floors, gas heat, electricity, has stoves and cabinets. Bruce Carter, state director of NYA, Will Rogers, district commander of American Legion, Congressman Cartwright, Senator Posey, and others are expected to be present.